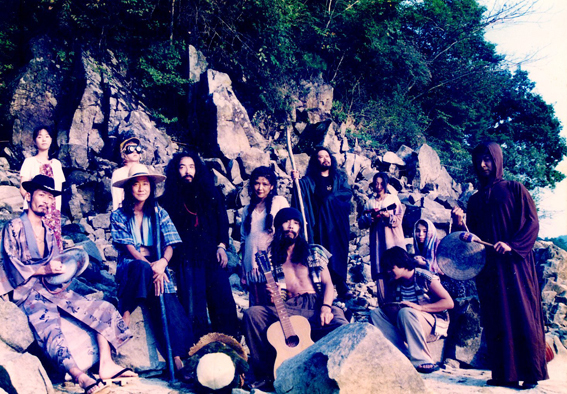 What is “Acid Mothers Temple”? Collective led by Kawabata Makoto. There are currently around 30 members, famous and unknown, musicians, artist, dancers, farmers etc. 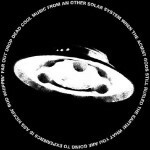 In order to follow and document their multifarious activities, in 1998 the Acid Mothers Temple family record label was set up. 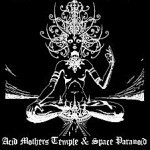 The Acid Mothers Temple & The Melting Paraiso U.F.O. group is just one part of collective’s activities. Over a decade ago Kawabata became involved with a commune of Japanese beatniks and hippies, but the whole left-wing ethos didn’t really sit right with him. The members of Acid Mothers Temple have several houses all over Japan, and each of us is free to come and go between these houses. So we’re not a commune in the sense that all of us live together in the same place. There are some members who like to travel, others who stay at home. Everyone is free to live in whatever way they like. Our slogan is “Do Whatever You Want, Don’t Do Whatever You Don’t Want!!”. As a result of this philosophy, we have lost money and the trust of society as a whole, but we’ve gained time and freedom. When all the Aum Shinrikyo stuff was going on in Japan in 1995, there were quite a few of our members staying at AMT’s house. [NB Aum Shinrikyo, or Aum Supreme Truth, were the religious cult who carried out the poison gas attack on the Tokyo underground in 1995 that left 12 dead and over 1000 injured]. The neighbours mistakenly thought that our house was a secret Aum hideout and managed to get them evicted. Also, mountain villages are always suspicious of outsiders, and sometimes they are ostracised by the community. These kinds of problems pop up from time to time, but there’s not much we can do about it. One of our members is a farmer, living together with his fields and rice paddies. There’s another member who has travelled through the Australian deserts and lived with Aborigines. There’s others who are bumming round India. One went to Africa and never came back. One dropped out of a yakuza gang and decided to travel around Japan searching for mermaids. But we all live according to our slogan, and we all eventually return to the fold. They respect each others’ ways of life, and we try not to tie each other down. The “soul collective” only exists so that we can protect our freedom.